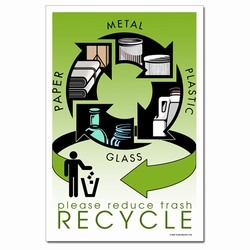 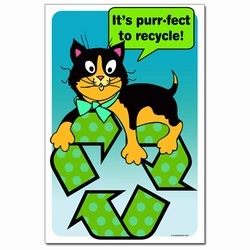 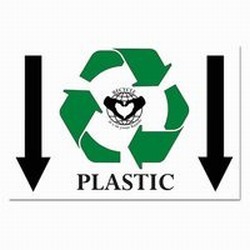 Theme: A recycle symbol over a list of things that are an aren't acceptable to be recycled. 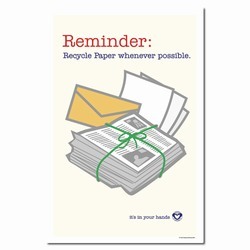 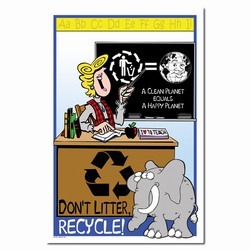 Message: "Recycle Paper Only. 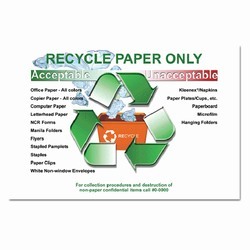 Acceptable: Office Paper - All Colors, Copier Paper - All Colors, Computer Paper, Letterhead Paper, NCR Forms, Manila Folders, Flyers, Stapled Pamplets, Staples, Paper Clips, White Non-window Envelopers. 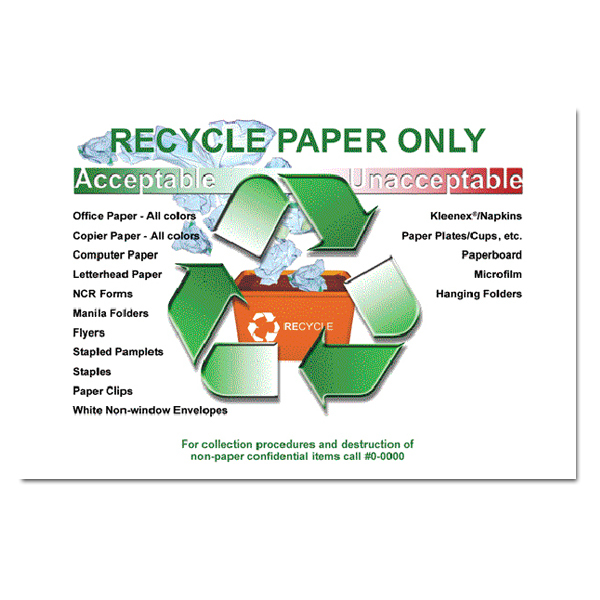 Unacceptable: Kleenex/Napkins, Paper Plates and Cups, Paperboard, Microfilm and Hanging Folders."